MHN interviewed Jeff Danley, founder and managing partner of Peak Capital Partners, about his company’s approach to the multifamily investment space. Going into 2015, Jeff Danley did not expect that the multifamily investment firm he co-founded back in 2006 would keep buying properties at a fast clip. With 35 transactions closing this year for Peak Capital Partners, however, he’s ready to admit that he was wrong. “Obviously we are pretty far into the cycle at this point. There has been a lot of interest from the market in the multifamily space, and a lot of new investors have gotten into the industry in the last few years. So the competition has increased. But I would say 2016 looks like more of the same,” Danley told MHN in a recent interview. 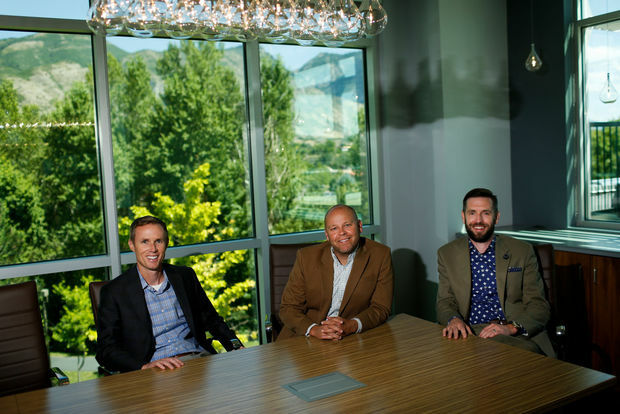 Based in Salt Lake City, Peak Capital Partners will close 2015 with a mixed portfolio of around 20,000 doors. Assets include Class A and B multifamily housing, tax credit properties and a few student housing communities. Markets where Peak Capital holds multiple properties include Atlanta, Dallas, Kansas City, Denver, Salt Lake City, Raleigh and Nashville/Memphis. MHN talked to Jeff Danley about his company’s approach to the multifamily investment space. MHN: How did you end up in the multifamily investment sector? Danley: My partners Jamie Dunn, Jeff Burningham and I founded Peak Capital Partners in 2007. When the market was getting really overheated, we called each other and said we ought to start a firm that buys distressed multifamily assets. So that was the genesis of Peak. We formed the firm in 2007 and we were a little early to the anticipated downturn. Then 2008 happened and we had a couple of lean years. But in 2009 we bought our first property and we’ve done close to 150 acquisitions since then. MHN: How did you get involved in purchasing tax credit investments? Danley: Back in 2009 we looked at a property in Park City, Utah, close to our offices. It looked like an interesting property and as we got further down the road we realized it was a tax credit property. We ended up buying it, and that led us into that business. We had always owned conventional assets previously. After we bought that property we subsequently acquired 40 + tax credit properties. We don’t do tax credit development. It’s all Year 15 tax credit, so when the original developer and tax credit partner are exiting, that’s when we come in. We find that it blends fairly well with our conventional business. MHN: What’s your approach to investing in the tax credit sector? Danley: Most of these properties were built between the mid-1990s and 2000. So they’re relatively new and they usually need some updating. Typically, I would say they have been somewhat undermanaged, so there’s an opportunity to go in and do updates to the common area amenities, landscaping, building exteriors and interiors, and also really push rents as we manage the properties more effectively. In addition, the federal tax credit program has a provision where a lot of these properties can be converted to conventional. So as often as we can, we convert them over to conventional properties, and we’ve had a lot of success with that. MHN; How do you drive investment value with your conventional portfolio? Danley: Every acquisition we do, we have some level of value added improvement. Most of the conventional properties we buy were built in the mid-‘80s to mid-‘90s, so they all need some level of updating. It’s very common for us to go in, make those upgrades and then raise rents $50 to $200 a month, depending on the level of upgrades. On average, we are spending around $1.5 million on upgrades in the first year of ownership at most properties. MHN: How do you reduce expenses onsite? Danley: We tend to focus on a lot of things that other people overlook. We’re very focused on energy efficiency, and we’ll go in and often replace all the toilets. A lot of properties we buy have three or five gallon flush toilets. So we’ll replace them with one gallon flush toilets. And we can save literally hundreds of thousands of dollars a year in water costs, just with that simple upgrade. We also save millions of gallons of water, which we feel great about from an environmental standpoint. In addition, we upgrade all of our lighting to LED lighting, which is much more energy efficient. And we upgrade windows, ceiling insulation, and other items. Those efficiencies are a big focus for us on the expense side, and we have found hundreds of thousands of dollars a year in savings from some of those environmental upgrades. In addition to that, given our size, we have national contracts with HD Supply and other suppliers, and are able to go in and negotiate really good pricing with those contractors. MHN: What’s your outlook for the year ahead? Danley: I think in a lot of ways this market still has room to run. But we’re definitely much more conservative now than we were a few years ago. We’ve moved away from the large MSAs to the secondary and tertiary markets, essentially chasing higher cap rates and better yields. But we’ll see. A couple years ago I thought we wouldn’t do any acquisitions in 2015, but this will be our biggest year. I think we’ll have a busy year next year, and then we’ll see from there. I think what will really cool the market down is when interest rates start to go up. MHN: You make a point of caring about your residents. How does that drive your company? Danley: Our mission statement at Peak Capital is to provide safe, affordable housing for American families. I think sometimes we think that this is just a business of buying and selling real estate, and we forget that these are people’s homes. We’re housing about 20,000 American families in our portfolio, and we take that really seriously. We really try to provide a great place for people to live and a great experience with world class customer service. That’s what drives us at the end of the day. MHN: That being said, how do you support your residents? Danley: One of the things I like about the tax credit side of our business is that we partner with local nonprofits. We offer a variety of programs free of charge to our residents at our affordable communities. In some properties we have community centers, we have financial literacy programs, after school programs for kids, and exercise classes. In addition, we do a Sub for Santa program for deserving needy families at Christmastime. That’s been really neat way to get involved with the residents. And in 2016, we’re going to roll out a scholarship program, where community managers can nominate a student that lives in their community for the Peak Scholarship Program, and then we’ll provide the funds for them to attend college.